In recent years this fixtures has always been full of surprises despite the obvious gap in quality between these two sides. Barcelona suffered their first La Liga defeat of the season against newcomers Alaves who weathered the storm and shocked Barca on the counter, a similar tactic Celtic might consider using. Celtic have maintained their 100% record in the Scottish Premier League, their most recent victory coming over eternal rivals Rangers in a 5-1 victory. I predict Barca will bounce back in style.. Prediction 3-0 – A home win -2 goals is at odds of 1.85 on Bet365!! CLICK HERE to claim your bonus! German powerhouse Bayern Munich have won both of their opening Bundesliga games scoring eight goals and have yet to concede a single goal. After finishing second in the Russian Premier League last season Rostov have so far struggled to find the same form and I am predicting a comfortable win for the Bavarians. Fresh from an exciting 1-2 win over derby rivals Manchester United, new coach Pep Guardiola will be delighted with his sides’ win as he looks to transform Manchester City into a European powerhouse. 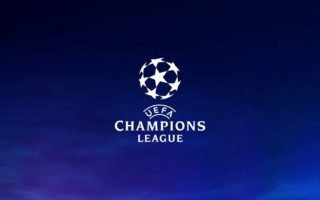 Borussia M’gladbach were defeated on their travels to Freiburg on Saturday and I am predicting a tough game for Schubert’s side at the Emirates. Following the departure of star front man Ibrahimovic over the summer PSG have already seemed to have lost their supremacy in Ligue 1 having already dropped four points in their opening four games. Arsenal were close to dropping another two points on Saturday afternoon only to be saved by a very late penalty. The Gunners have also struggled to find their form early on and I predict a closely fought game in Paris. Reigning Belgian champions Club Brugge have got their season off to an awful start winning just two of their opening six games. The same can be said for Leicester, who against all odds won the Premier League last season however have so far struggled to find last season’s form and have won just four points in their first four fixtures. The Foxes need a positive result in Belgium and I expect a draw. Prediction 1-1 – A draw is at odds of 3.30 – click here to benefit from a FREE 100% BONUS from BET365. Juventus hit the ground running this season and are the only Serie A side to maintain a 100% record. The Old Lady made a number of impressive reinforcements to their squad over the summer as they aim to win the Champions League, an honor which has eluded the Bianconeri for over two decades. Sevilla will be pleased with their La Liga start and have yet to lose a game. This is a must win for the Italian champions. Prediction 2-1 – A home win is at odds of 1.57 on Bet365!! CLICK HERE to claim your bonus! Reigning European champions Real Madrid look to carry on with their impressive domestic form as they welcome Portuguese side Sporting to the Bernabeu. Zidane’s side are brimming with confidence and are scoring goals for fun in what I predict will be a comfortable home win. Prediction 3-0 – A home win -2 goals is at odds of 2.00 on Bet365!! CLICK HERE to claim your bonus! Tottenham will fancy their chances of atleast getting past the group stages and a thumping 0-4 over minnows Stoke is just what Pochettino’s side need to get their European campaign off to a good start. Spurs face one of France’s most in form sides as Monaco look to reestablish themselves on both a domestic and European stage following a number of seasons in the shadow of PSG. This is a must win for the home side. Prediction 3-1 – A home win is at odds of 1.72 on Bet365!! CLICK HERE to claim your bonus!